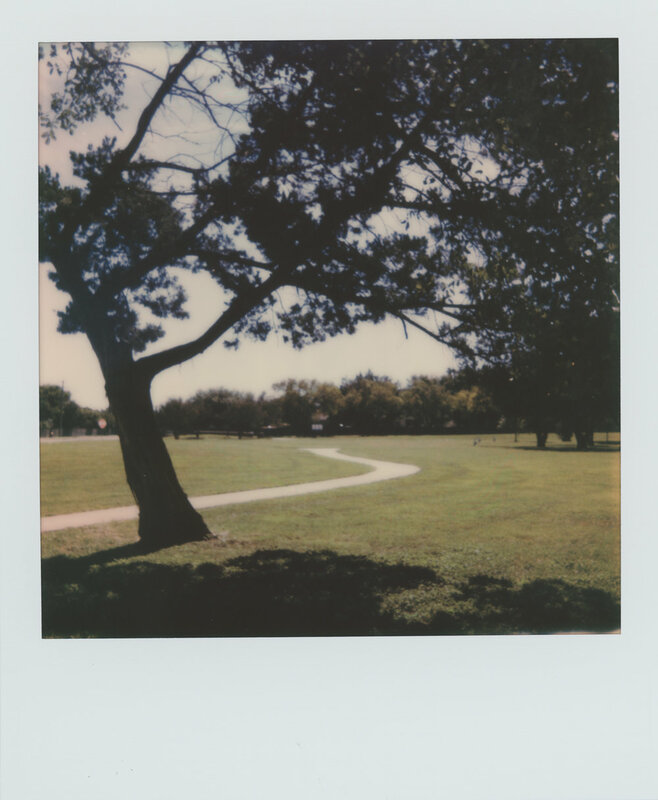 I don't really consider myself an instant film photographer, but I do enjoy using it from time to time, and I have played with a few different types over the past couple of years. Mostly I began experimenting out of curiosity, and because my 10 year old daughter announced during a screening of Home Alone 2 that she had "always wanted" one of those Polaroid cameras like the one the kid uses to photograph the bad guys. So when I saw Polaroid become a film company once again, with a new camera and new film, I scrambled to pre-order the OneStep 2, for my daughter and me to share, and could barely wait for the thing to charge up before I tried it out (I'll confess, I didn't wait the full time). Part of the reason for my impatience was light: my daughter has a colorful (messy) room that receives very beautiful afternoon light, and it was perfect. I was bound and determined to make that my first shot. . . . and I will admit that I was both disappointed and pleased with the result. The colors don't do justice to how it looked in person, BUT the film did capture the nuances of the light coming through her blinds. So the verdict was still out for me. PS please don't give us any more stuffed animals. Next I played with the light on my front porch, for the sake of testing the film to see how it performs with both bright light and shadow. The following morning there was the kind of lovely early morning light in my kitchen that can transform an everyday object. The film disappointed me a little, since this is not how the light appeared in person at all, but, as with the photograph in my daughter's room, I feel that I was pushing it a bit in terms of what I wanted it to do. Next, I learned how to make double exposures with the camera, and that changed everything for me. This was my first, hasty, trial. I did not darken the exposures; in hindsight that would have been better. The camera went with us to the playground where I made these images and found myself 100% sold, thrilled, and excited. The only thing left to do was to try the black & white film, which I did yesterday in strong light in my garden. So, what do I think about the Polaroid Originals OneStep2 and the new film? I think I'm going to have a hard time keeping my film fridge stocked, and I think you should treat yourself. Not particularly technical film photographer Amy Jasek is based in Texas. See more of her work on her website and instagram.